Zombie Trapper 2 is a defense strategy shooter game from miniclip. Do you ever feel the need to shoot zombies and impale them with various kinds of booby traps? Well, this game allows you all of those things. You are a lone cop in a zombie ridden world whose only mission is to protect the air purifier from being destroyed by the horde. Utilize different traps and wield different kinds of weapons to deal with them. Not all zombies are created equal in this game. Some of them are dogs, some are mummified and some of them can use lawn mower. To deal with a variety of undead enemies you must implement a variety of weapons and traps from classic foot snapper traps to more advance tesla coils. Yeah, that's how we roll in this game. Pistols, dual pistols and heavy weapons are what you are going to be shooting with in this game. When a new weapon comes available for purchase, get it. Make purchasing powerful weapons your top priority. Don't spend too much money on foot snapper traps because you can get many of them from bonus rounds. The mine trap is useful for taking out large group of zombies. Instead of placing them at the start of battle, save them and use them on groups of zombies. That way, you can maximize its potential. The first machine pistol is quite more accurate than dual pistols perfect for making headshots. Cars explodes too so if you might want to use its explosion to your advantage by making them explode when a group of zombies are around it. Also always save money to buy dog food so you'll have the dog King fighting by your side. 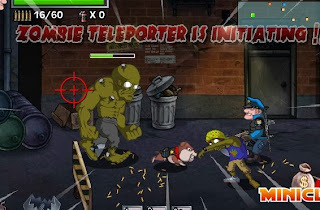 Want to see it, go watch my winning Zombie Trapper 2 gameplay walkthrough video I have down below.